The finest cube-cut Burley, chosen for its deep, nutty flavors, forms a robust foundation for this sophisticated blend. Rich, red Virginia tobaccos are added for their subtle sweetness and complexity, while the unique spice of perique provides added dimension. A delicate kiss of brandy polishes the blend to a perfect finish. 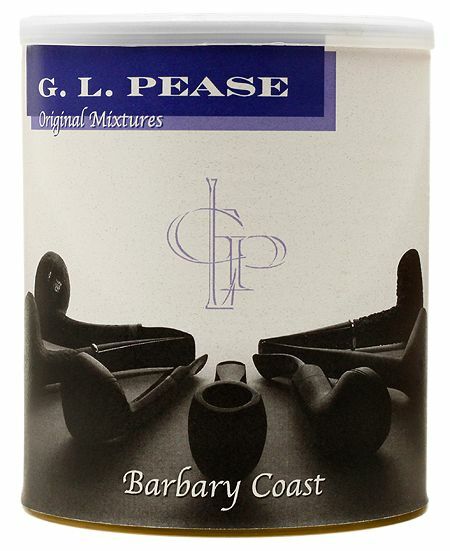 Barbary Coast is delightfully satisfying, with hints of black walnut, dark chocolate, and dried fruits. The perfect "all-day" smoke!